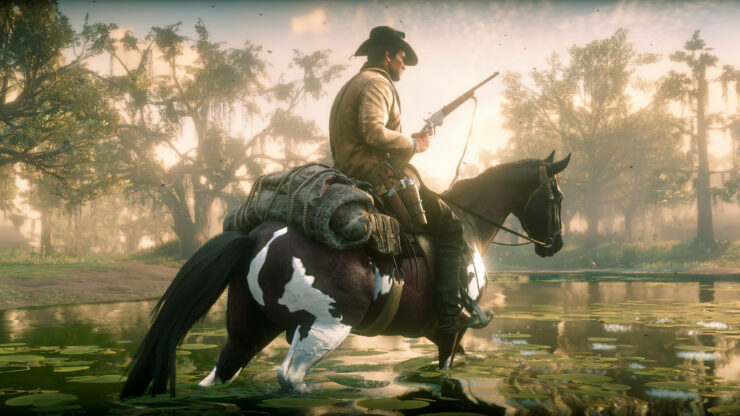 A new update is now available for Red Dead Redemption 2 on PlayStation 4 and Xbox One, introducing some improvements to the game. The new update, which is around 5.32 GB big, adds support for the Red Dead Online beta as well as several unspecified performance and stability improvements. Unspecified issues have also been fixed. Unfortunately, it seems like the HDR issues on both Xbox One and PlayStation 4 haven’t been solved yet, according to online reports. Red Dead Redemption 2 HDR issues have been known for some time now. According to an analysis by Digital Foundry, the game employs a form of fake HDR that brings very little enhancements. This is not the first game to present us with what you might call ‘fake’ HDR – earlier this year the Xbox One port of Nier Automata also pulled a similar trick, effectively transplanting the standard dynamic range image into an ‘HDR container’. Once active, your screen registers an HDR output from the console, but it just contains the SDR image within it. All of our tests suggest the same thing is happening in Red Dead 2 on both Xbox and PlayStation systems. Red Dead Redemption 2 is now available on PlayStation 4 and Xbox One in all regions.